principles to improve pavement structures, materials, and technologies. Call for Abstracts: The International Symposium on Pavement, Roadway, and Bridge Life Cycle Assessment 2020, to be held in Sacramento, California on June 3-6, 2020 is now accepting abstracts. Abstracts should be submitted by June 15, 2019. To submit abstracts, you need to set up an account with EasyChair. Go to https://easychair.org/conferences/?conf=lca2020 and click “create an account”. The LCA2020 Instructions for Authors document details the process of creating an EasyChair account and submitting an abstract. You only need to specify the first author at submission time (you can specify all authors if you would like) andyou can add additional authors (or remove and/or update authors) later by logging into EasyChair andupdating your submission. Two Presentations Given: A presentation on Reducing Pavement Life Cycle Impacts Using LCA was made by UCPRC at the California Asphalt Pavement Association (CalAPA) Conference and Equipment Expo on April 25, 2018. A keynote presentation on Asphalt Pavement Life Cycle Assessment: Review and Future Outlook was given by John Harvey in Harbin, China for the International Symposium on Road Development on May 5, 2018. New Guideline Published: Guidelines for the Selection, Specification and Application of Chemical Dust Control and Stabilization Treatments on Unpaved Roads. This guide introduces a new process for selecting an appropriate chemical treatment category for a specific set of unpaved road conditions using ranked potential performance. The process is based on a practitioner’s setting an objective for initiating a chemical treatment program and then gaining a fuller understanding of the road in terms of materials, traffic, climate, and geometry. Using the information collected, the most appropriate chemical treatment subcategories for a given situation can be selected from a series of charts and ranked using a simple equation. This process can be completed manually using a paper form, or by using a web-based tool. Matrices for each of the objectives were developed based on documented field experiments and the experience of a panel of practitioners. Guidance on specification language for procuring and applying unpaved road chemical treatments is also provided, along with comprehensive guidance on understanding unpaved road wearing course material performance. The Beguiling Science of Making Planet-Saving Pavement: Changing how we make the pavements we walk and drive on could make a real dent in California’s greenhouse gas emissions output, according to a Wired magazine article that cites UCPRC and its lifecycle studies. UC Davis Civil & Environmental Engineering Professors Alissa Kendall and John Harvey, Director of UCPRC, are both quoted: https://www.wired.com/story/pavement-environment-science. Mix Design Guidance Helps Contractors Meet Asphalt Performance Related Specifications. 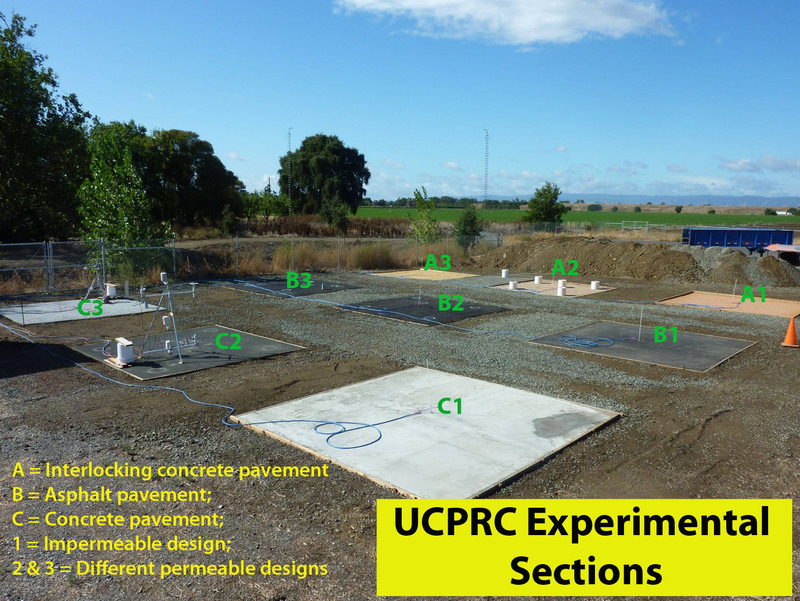 Caltrans has adopted mechanistic-empirical (ME) methods for flexible pavement design, and is using performance-related construction specifications on long-life rehabilitation projects for hot mix asphalt. Performance-related specifications (PRS) are used to help ensure that as-built materials meet the performance requirements assumed in ME pavement structural designs. For hot mix asphalt, producers need to meet specified values for stiffness, fatigue resistance, and rutting resistance. PRS pose new challenges for materials producers and contractors who have never had to relate volumetric mix design parameters to achievement of mechanistic parameters for fatigue life and rutting resistance based on results from performance-related laboratory tests. The objective of this project was to provide guidance to mix designers and contractors to support their decision making regarding changes to mix designs to achieve PRS requirements. The initial guidance was prepared based on UCPRC experience supporting Caltrans and mix producers on previous AC Long-Life projects, and several decades of research experience. A Caltrans approved Superpave mix design was the starting point. A total of three sets of adjustments to this mix design were evaluated following the initial guidance and the effects on PRS laboratory test results were checked to see whether the guidance caused the expected improvements. The initial mix design guidance was found to be generally consistent with the laboratory test results for the example mix albeit with some minor exceptions. The mix design guidance was then revised based on findings from this study. It is recommended that the revised guidance be used on AC Long-Life projects or any projects where PRS are used, and that more data collected to make further improvements. The mix design guidance report, which includes the flow chart for adjusting mixes to meet PRS on Page 9, is here.